Your career goals may require additional education past the completion of a baccalaureate degree, which can lead you to either a graduate or professional program. The choice to attend graduate or professional school should be thoroughly researched and thought-out. If you need assistance determining whether or not to attend graduate school, checkout Peterson's Guide for Potential Grad Students. When choosing a university, it is beneficial to consider several items in particular. Bear in mind your own wants and needs, the school itself, the programs offered by your selected university, and what is ultimately required of you. Consider your own goals, desires, and needs. Where would you like to live? What do you want to study? What are your professional goals? By becoming aware of locational differences, climatic changes, as well as entertainment and other services offered by the city you are considering moving to, you will learn about what you can and cannot live without. 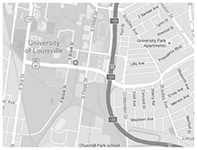 Research the location of the university and the size of its student population. How far are you willing to travel and live away from your family and friends? Do you have any relationships that would make it difficult to move very far from your current location? Do you prefer to attend smaller or larger institutions? Does your class size or the ratio of faculty to students matter to you? Make sure to take these factors into consideration when selecting potential schools. Investigate the university resources, career center, and post-program employment opportunities. What academic resources are offered that will empower you during your time at graduate school? What jobs do students gravitate towards after completing the program? Does the University’s Career Center cater to graduate students, and what specific services are available to you? Select the program you want to purse. Many schools offer a wide variety of graduate school programs, while other universities may offer a selection that is not as exhaustive. Make an inventory of areas of study that grab your attention. What are you most passionate about? For help with selecting an area of study, make an appointment your Assistant Director of Career Engagement who can guide you through the process of identifying graduate school programs that match your strengths and interests. Once you have categorized the area(s) of study/studies you wish to pursue, begin to research the schools which offer the program(s) you are interested in. The U.S. News & World Report, Peterson's, GradSchools.com, and the U.S. Department of Education are all great places to begin graduate and professional school research. Read the application requirements for the programs you have selected. Different programs call for different requirements. Some programs require a portfolio, work experience, or research experience. Make sure to read this beforehand in order to have a firm grasp of what is expected of you before beginning the program. Each school has a different application timeline. Plan accordingly and know the requirements as far in advance as possible. The sooner you prepare your application, the more prepared and confident you will be when it is time to apply. Review the process. The Committee on Institutional Cooperation has published a comprehensive overview of the graduate school application process. Prepare for and take the necessary graduate school standardized exam. Common exams are the GRE, MCAT, and LSAT. Consider taking the exam in your senior year of undergraduate school. Research on the internet and discover the resources that can help prepare you for the test(s) you will be required to take. Kaplan offers standardized exam preparation courses in-person, and online. Magoosh GRE Prep offers over a thousand practice exam questions, and many videos the encompass different sections of graduate exams. Complete the necessary applications for your university and program. Most universities now allow prospective students to fill out the application online. Be prepared to budget for application fees, which vary from school to school. However, some schools may offer fee waivers; contact them to see your options. Meet with the people you have chosen to write the letters; ask them in person if possible, or over the phone if that is not possible. State your reason for coming to them and share with them the program you are interested in studying. Also make sure to provide them with your transcript, resume, any special programs you are involved in, any awards you have received, etc. Give your recommenders time in advance to write the letter. Be sure to give them clear instructions and firm deadlines. Always thank the recommenders. Do this either by writing a “thank you” note/letter or e-mail. Write your personal statement. Make an appointment with your Assistant Director of Career Engagement to learn how to write a dynamic, eye-catching personal statement. The application will give you instructions and guidelines on what to include in the essay. Depending on the program, the amount of flexibility you have in shaping the personal essay varies. Be consistent, clear, and organized throughout the essay, while maintaining a personal, straightforward tone. Update your resume or curriculum vita (CV). Learn how to create a superb resume or CV by making an appointment with your Assistant Director of Career Engagement. Our office can assist with revamping and polishing your document to make it stand out among the rest. Order and send in all transcripts. Most universities require you to send a transcript from each institution of higher education you have attended. Prepare for your entrance interview. Be prepared to interview with the graduate program you apply for, as this is a requirement of many graduate programs. This is your chance to speak about your work and research experience, current and future goals, academic pursuits, and why you are interested in applying for graduate school. Research the program before the interview to formulate one of the most important answers you will need to give: how the program corresponds with your goals and interests. For help with preparing for the interview, sample interview questions, and tips for nailing it, have a look at GradSchools.com’s extensive guide. Determine the overall cost for your time as a graduate student and be prepared to apply for additional funding. Contact the school’s financial aid office and inquire about available scholarships, student loans, and other sources of aid. This information may not always be posted on their website, so contact the office by phone or mail to receive an updated, thorough answer. Also look into graduate assistantships, federal work study-positions, and other options offered by your university. Working for your university not only helps lighten your financial burden, it allows you to network and connect with others at your university which will support you during your time as a graduate student (and beyond!). The U.S. News & World Report provide an updated list of recent articles with tips on paying for graduate school.